If you have read Part 1 of our drone safety series, then you will know that before flying a drone, we recommend first becoming familiar with the basic operations via a flight simulator. Assuming you are now able to successfully control a virtual drone, let’s get you prepared to fly your real drone. No doubt you are itching to do so. Before flying your drone outside, you must familiarise yourself with your country’s current regulations (you should be able to find these via Google). Maximum altitude of 120 metres (approx. 400 feet). Maximum distance from the operator of 500 metres (approx. 1600 feet). Drones should be flown at all times in the sight of the operator. Drones must not be flown within 8 kilometres (5 miles) of an airport. Drones must not be flown within 50 metres (approx. 160 feet) of structures, vehicles or people not under the control of the aircraft operator. These rules are actually very sensible. You DO NOT want to lose control of your drone and be the cause of an accident. Please always keep safety at the front of your mind. Just as with commercial airplanes, accidents are most likely to occur with drones on takeoff and landing. The secret to a successful takeoff? Firstly, make sure your drone is on a level flat surface. This is very important. Next, ensure that your drone and transmitter batteries are fully charged. Additionally, check that the blades are able to spin freely. Once you are satisfied that the equipment is operational, you can sync the drone and transmitter. Be sure to keep a good distance away from the drone before starting the motors. If you have practised sufficiently on the flight simulator, then you should be able to get your drone up and flying without too much difficulty. The key thing is to start off slowly (no sudden movements) and to keep your drone at a low altitude until you are confident with controlling it. Realistically, you are going to need many hours of flying your drone before you can reach a competent standard. It is quite possible you will crash your drone. This is why it makes sense to be outside in a field or park - well away from people and buildings. With practice, you will also be able to land your drone softly and precisely. We’ve had our share of challenging drone experiences. For example, we own a number of drones from large to small, including a Cheerson CX-20/Quanum Nova and a Hubsan X4. The Hubsan X4 is a great low cost entry drone, but as we discovered in the first few flights - it can quickly go out of control! Despite taking all precautions, we crash-landed the unfortunate little drone a number of times, including into a wall and a tree. On one occasion, we even managed to smash all the propellers. However, the Hubsan X4 is very robust, and 9 times out of 10 it was just a case of adding replacement propeller blades and popping the frame back into place. READ YOUR DRONE INSTRUCTIONS - and if lost, or if you have difficulty understanding them, find the information on the Internet (for example: visit the manufacturer’s website, look for advice in forums, view tutorials on YouTube). If you have self-assembled any part of your drone, triple-check the setup configuration. Although drone/quadcopter propeller blades look the same, they are different and must be installed in the correct configuration to create the required lift and control. If installed incorrectly (round the wrong way) your drone will fly out of control and smash into the ground. Don’t try to show off with your drone. Always have spare blades available. Find an outdoor area with more space than you think you will need. To avoid damaging your blades (or yourself), fit blades protection guards. If automated stability controls such as GPS fail, be ready to take manual control and land. Time your flights and be alert to the battery alarm or light signal. If alerted, return your drone immediately to your position to avoid any possibility of a crash. Be wary of flying your drone when the wind speed is more than 10 mph. Sudden gusts can cause you to lose control of your drone. NEVER leave the batteries charging unattended. Most drones and radio-controlled aircraft use Lithium Polymer batteries (LiPo) because they offer excellent high-energy storage, and are lighter than equivalent batteries. However, LiPo batteries if not charged correctly, can become faulty, catch fire, and even explode. 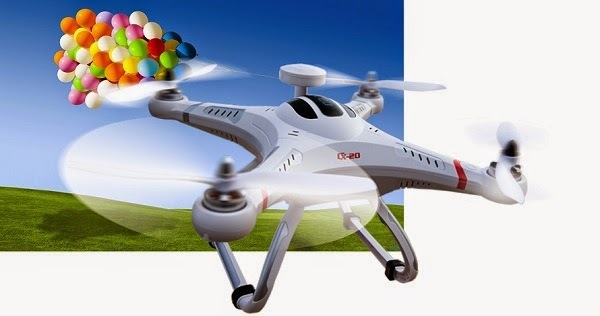 Drones are not toys, and should only be operated in most cases by responsible adults. If you really want a child (recommended 14 years old and up) to fly your drone, at least make sure they are fully trained, and you supervise their flying at all times. If you are ever in any doubt - please put safety first.